Endocyte saw its share price take off yesterday after it acquired rights to a promising late-stage cancer therapy. The company’s stock rose more than 150% in a day, with investors sensing that the new deal with German biotech ABX could result in a marketed product within just a few years. The deal sees Endocyte acquire an exclusive worldwide licence for ABX’s phase 3-ready prostate cancer candidate 177Lu-PSMA-617. This is a radioligand therapeutic (RLT) that targets the prostate-specific membrane antigen (PSMA), present in around 80% of patients with metastatic castration-resistant prostate cancer (mCRPC). 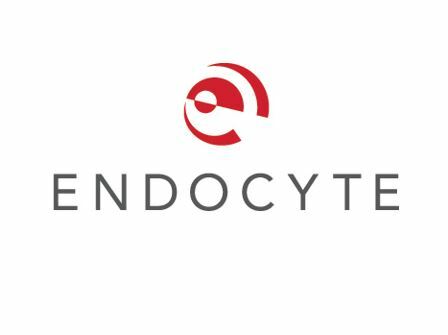 Endocyte’s CEO Mike Sherman says the company will now re- focus its R&D spend on phase 3 trials of the agent, and expects trial completion could come as early as 2020. The deal looks to have reversed the fortunes of the US company, which is a specialist in targeted cancer therapies, including drug conjugation technology and companion imaging agents for personalised therapy. It had to scale back its business in June after negative trial results, which sent its share price crashing. The company abandoned EC1456, its folate receptor-targeted tubulysin cancer therapy, and cut back its clinical trial programme for EC1169, its prostate-specific membrane antigen targeted (PSMA-targeted) tubulysin prostate cancer therapy. The company also announced it was slashing its workforce by 40% in order to steady the ship, but has pulled an unexpected success out of the back with the AbX deal. Now it looks like the in-licensed treatment is more promising than its own PSMA-targeting candidate. Lu-PSMA-617 delivers the short-range beta-emitting radioactive isotope lutetium (177Lu) selectively to tumour cells while by-passing non-PSMA-expressing healthy cells. The companies say the candidate has shown encouraging efficacy and safety results in around 20 peer reviewed publications of studies in the post-chemotherapy compassionate use setting. Lu-PSMA-617 has demonstrated a PSA response (defined as greater than 50% decline from baseline) in 40% to 60% of patients, and a RECIST response rate in soft tissue disease of between 40% and 50%. “This transaction is transformational to Endocyte, accelerating our path to commercialisation. 177Lu-PSMA-617 has the potential to be the first-in-class RLT to address both bone and soft tissue disease, and it is profoundly important to the many patients suffering from mCRPC,” said Mike Sherman. “Our experience with PSMA targeting and companion imaging development, in addition to our relationships with distinguished prostate cancer investigators from around the world, uniquely position Endocyte to lead this therapy to registration. We intend to seek regulatory approval to initiate a Phase 3 registration trial of 177Lu-PSMA-617 in early 2018. “By focusing the company’s resources on the execution of this programme, we project trial completion as early as 2020,” he concluded. PSMA-617 was developed at DKFZ (German Cancer Research Centre) and University Hospital Heidelberg and exclusively licensed to ABX in Germany for early clinical development. Overwhelming interest from physician investigators and patients has seen it evaluated in hundreds of patients through both compassionate use studies and prospective trials. 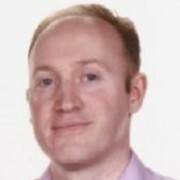 Michael Morris, MD, associate professor, Genitourinary Oncology, Memorial Sloan Kettering Cancer Center will work with Endocyte on the phase 3 studies, and said PSMA-617 was a promising therapy. 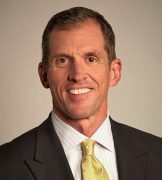 Mike Sherman reassured investors it would keep a close eye on its R&D expenditure and maintain a strong balance sheet. The new licensing is so significant that the company will now consider out-licensing some existing pipeline candidates.